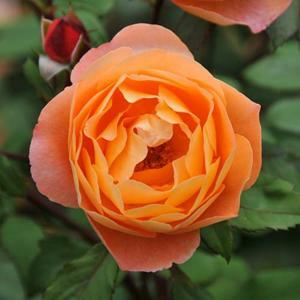 English shrub rose with richly coloured double flowers of tangerine-orange opening from red buds. Strongly scented. Good dark green foliage, reddish bronze when young. Disease resistant. Bed by David Austin, introduced 2005.